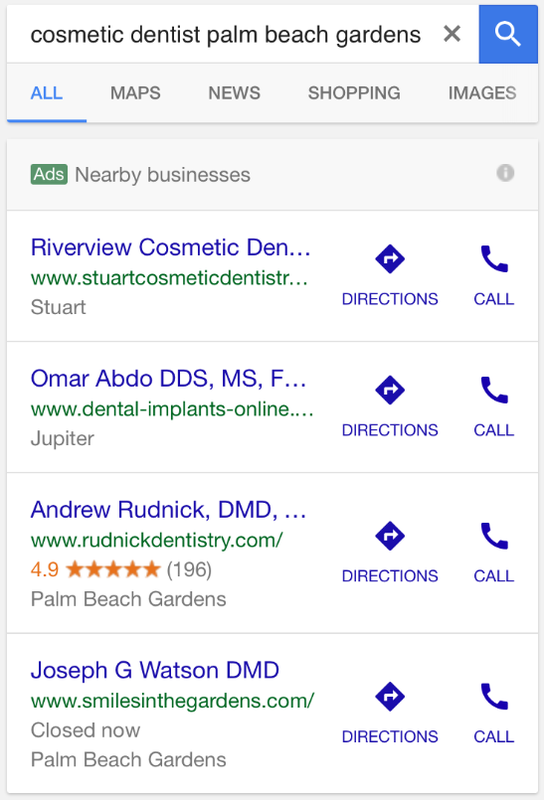 Google is stepping up their local pack ads in a big way. 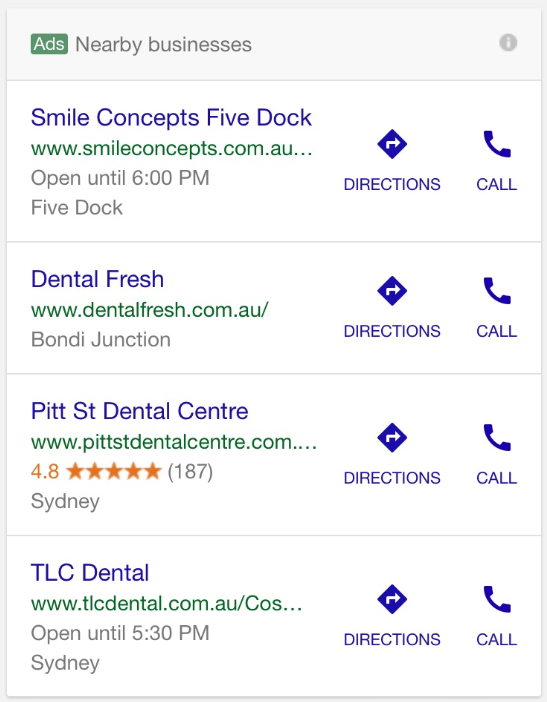 Google is testing new 4-pack local ads, showcases up to 4 “nearby businesses” for local related mobile search queries. This is pretty significant, since it is expanding Google’s expansion into local pack style ads. But it pushes down the organic search results when the regular local 3-pack would normally appear in its place. But in some cases, these new local ad packs replaces those regular AdWords results. None of the local ad 4-packs showed a map listing with it. The only ad tag for the set of 4 ads (we also saw them with 2 and 3 ads as well, but not as often) is the green “Ads” tag next to “Nearby businesses” at the top. 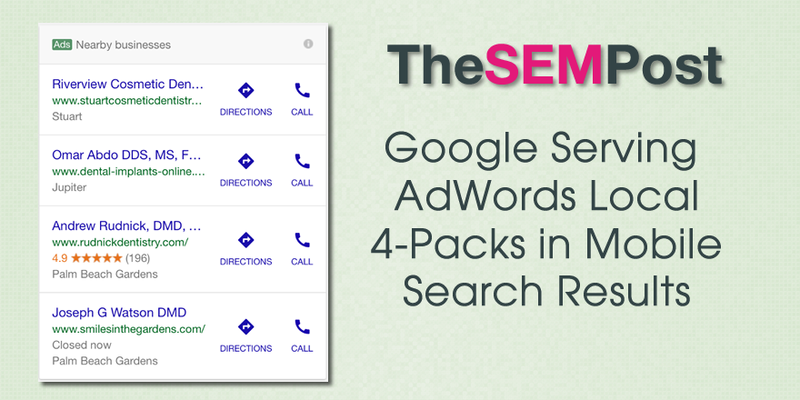 Google will also show an entire local 3-pack beneath the local businesses pack. So local businesses don’t need to worry that the ad pack will replace the local pack. It can display both where relevant, and I saw many examples of Google showing both. Here it shows the results with the local ad 4-pack with the local 3-pack below. Regular organic shows below the two local packs. Google is showing the ratings feature within the local ad 4-pack as well, and show ratings within the regular local 3-pack in the same search results. 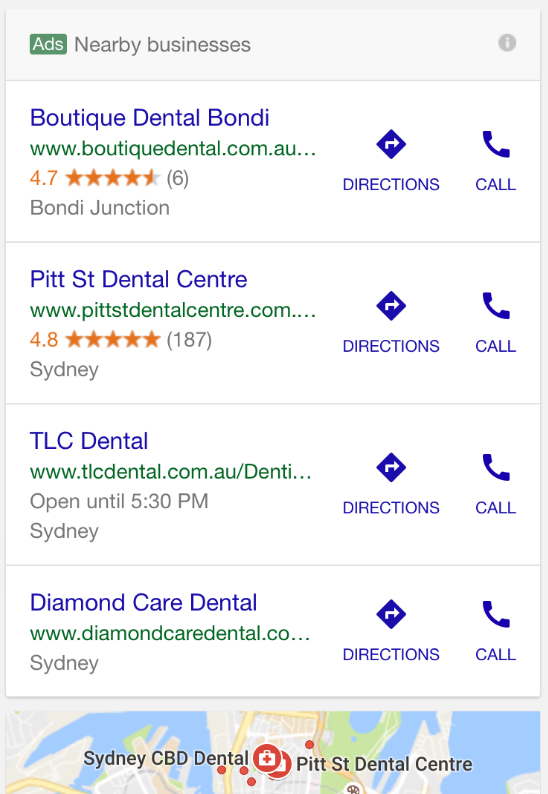 Google doesn’t seem to show both the local ad 4-packs with regular Google AdWords ads. It selects either regular AdWords ads or the local pack ads to display for ads in the serps. Google WILL show regular AdWords at the bottom. Here are the AdWords for the above screenshot showing the ad pack and local pack – this one showing the full compliment of the 3 AdWords ads at the bottom. I have only seen these showing in mobile, not for desktop. 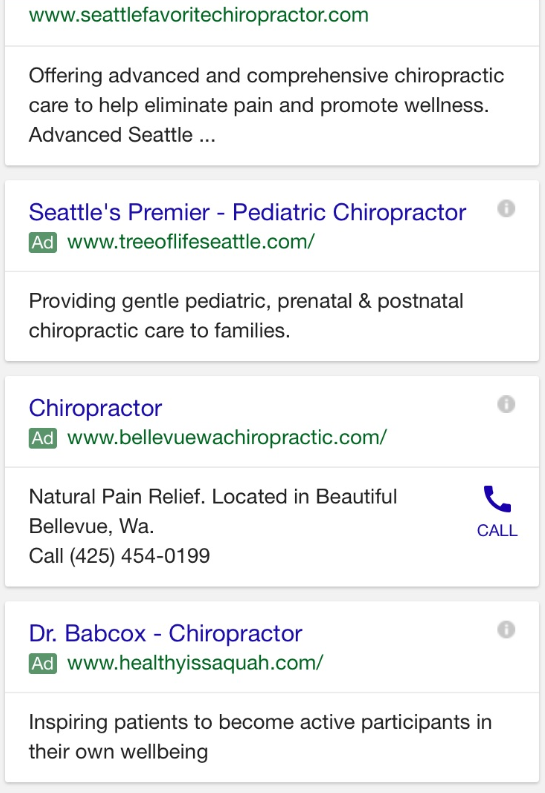 When Google began testing ads in the local 3-pack format, it was limited to only showing a maximum of three ads. These also showed in mobile only. With this, Google has increased that to four ads, which also matches the 4 ads that Google would display as regular AdWords ads. I am sure local businesses will have a lot to say about these – if they appear in the local 3-pack, they won’t be happy, but for those that were unable to get into the 3-pack, it is an alternative with the pack style listing.